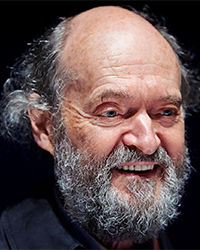 On 9 September, a concert given at the Vale of Glamorgan Festival of Music by the BBC National Orchestra of Wales with the Estonian Philharmonic Chamber Choir, conducted by Tõnu Kaljuste, was for the most part concerned with the music of Arvo Pärt, featuring a new work commissioned by the festival, In Spe for wind quintet and strings. It’s a short piece, in which the winds take precedence at first: horn, oboe and bassoon take turns stating the work’s fundamental idea. 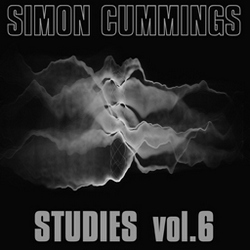 The rest of the work is essentially a series of what E. E. Cummings might have called “nonvariations” on that theme; the melody is draped in constantly changing decoration, the voice moving between registers, inversions and retrogrades adding what little spice there is to be gleaned from Pärt’s agonisingly constricted use of material and harmony. Surprisingly, it all feels terribly technical; while the temptation with so much of Pärt’s music is simply to drift, switched off and blissed out, on the surface, i found myself pulled under during In Spe, staring at what lay beneath; i don’t think this is due purely to the paucity of invention on display in the work; Howard Skempton’s Lento goes round in even more demonstrably regular circles for much of its duration, but there the result is hypnotic and entirely convincing. Somehow, the material here all feels terribly workaday, almost like an exercise; unfortunately, as neither the inner workings nor their surface sheen are that interesting, this militates against In Spe, enfeebling it, even in its brief attempts at more dynamic strength. Arvo Pärt’s fans will be delighted; all the ‘tintinnabuli’ stuff is present and correct, and the piece presents them with absolutely nothing unfamiliar, nothing to think about. Next up was his choral work Cecilia, vergine romana, a work that didn’t acquit itself any better. If anything, it was much worse; early on in the work, following the prominent harp entry, the music drifted, incongruously, into the kind of material that, being a child of the Cotswolds, i’ve encountered far too often (Vaughan Williams – Holst × Elgar). Thankfully, these weird evocations (in my mind, at least) of the ‘cowpat school’ become forgotten in what ensues, but that’s because both stylistically and structurally it’s all a bit of a jumble. Section follows section clearly enough, but a sense of overall direction is absent, as is the sense of particular ideas being more important than others. If one was to listen to it entirely superficially (obviously not a problem for the majority of Pärt’s fans), then it projects its platitudes easily enough on the ear, but aside from that, it’s an infuriating, insufferable listen. The last work of his to be performed at the concert was his Fourth Symphony, subtitled ‘Los Angeles’. It was interesting to hear this piece again so soon after its performance by the Philharmonia Orchestra at the Proms, in late August, a performance i found deeply unconvincing. This time, the first movement comes across in a much more credible way, its extended opening warm and expressive; the second episode, ‘marked with majesty’, is fully realised, the timpanist’s poundings keeping the elevated tone firmly grounded, and the curious soft conclusion sounds more connected, even inevitable after the outburst. It makes for a stirring, impressive opening, and this is continued through the second movement, marked ‘gasping’. The strings present the material with real conviction, the material sounding almost desperate at times, as though flailing wildly in darkness. 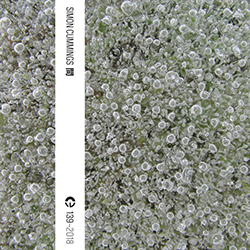 The percussion is very much more audible in this performance, soft suspended cymbals and delicate marimba notes adding a frisson of even more uncertainty to the proceedings, and the miniscule bell is an ominous presence far beyond its size. The conclusion of the movement is still a touch inscrutable, but what i described last time as a lack of direct statement now seems understandable, adding to the immense weight of emotional tenebrosity prevalent here. The last movement opens with decisive force, its march-like material growing apace until it consumes the orchestra; the work suffers from rather too many of the stratospheric violins having intonation difficulties (it is very high though), but suffers more from its composed ending, which i still find bizarre. Perhaps it highlights a deeper ambiguity i have about quite what this movement is intended to contribute to the symphony as a whole; Pärt dedicated the work to Mikhail Khodorkovsky, a Russian businessman imprisoned for the last seven years, and has stated he intends the symphony, ultimately, “not [as] a lament … but a bow to the great power of the human spirit and human dignity”. Such a brief last movement—particularly one with a militarily constant marching pulse—can’t undo the overwhelming weight of the second movement, so to my mind, lament wins the day in Pärt’s Symphony No. 4, a work of which i’m delighted to have had my first impressions so convincingly overturned in this splendidly convincing performance. 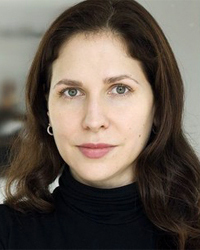 Pärt wasn’t the only composer featured at the concert; also included was the world première of a new work by Arlene Sierra, the first time i’ve heard her music. The subject matter of Sierra’s new Piano Concerto, ‘Art of War’ is not without connection to the root of Pärt’s inspiration. What sets the ancient Chinese text The Art of War apart from other works of that ilk is a preparedness to include spirituality within its considerations. The author—who may or may not have been Sun Tzu—regarded enlightenment (from the Taoist perspective) as a sine qua non for the great military leader, a concept that would no doubt accord the same kind of vigorous ridicule today that religions of all hues receive. For a time in the first movement, ‘Captive Nation’, the piano hops around, at first seemingly playfully, but soon taking on a more determined, even provocative character. The percussion seem especially keen on what the piano is doing, while the rest of the orchestra seems more concerned with its own agenda. Sierra writes of the piano becoming “subsumed”, but what’s interesting is that this is not achieved (as one might assume, thinking militarily) through mere brute force on the part of the orchestra, but by a rather different kind of weight, one that perhaps connects with the Taoist enlightenment referred to above. There are certainly times when the piano’s material seems ‘indoctrinated’ by that of the orchestra around it, so perhaps this is a vanquishment more rooted in ideology and behaviour than anything else; all the same, it’s hardly a pushover, the piano putting up a doggedly feisty resistance to the increasingly vociferous outside forces brought to bear on it. It’s also interesting that much of this takes place above an essentially dance-like compound metre, giving the conflict a curious but nicely effective lilting quality. The tables are turned in the second movement, ‘Strategic Seige’, the piano (in Sierra’s words) “changed from instigator to saboteur”; she goes on to describe how “[the piano’s] gestures chip away at a wall of sound created by the orchestra…”, a process that immediately brings to mind the first movement of Richard Barrett’s Vanity, although the process in that piece results in a wall of sound rather than being the starting point. The movement is more obtuse in its unfolding, although ultimately more weighty and a great deal more intense. The compound metre again makes its presence felt (perhaps there’s a comment here on the frivolous, game-like nature of all wars), although what’s above it is this time palpably destructive and audibly uncomfortable; indeed, as the orchestra’s fabric is pulled to pieces, there’s a potent sense of panic, the instruments, section by section, erupting while the piano by turns twirls and hammers beneath. That’s when it’s not taking a step back from the action; at the orchestra’s most frantic moments, there’s a real sense of the piano watching the destruction from a distance. It’s a splendidly vivid work, and once again the BBC NOW with pianist Huw Watkins were on top form, never letting the convoluted textures sound stodgy. As a first encounter with Sierra’s music, it’s very impressive.